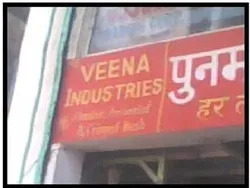 Established in the year 1984, we, 'Veena Industries", are engaged in manufacturing, trading and supplying a comprehensive range of Wire Mesh and Allied Products. The reason for our rise towards the pinnacle of success is the characteristics of our range such as durability, reliability and corrosion resistance, which has earned us appreciation form the clients based in various parts of the country. We offer our clients Wire Mesh, Chain Link Fencing, Perforated Sheet, Woven Wire Mesh (Vibrating Screen), Barbed Wire and Hexagonal Wire Mesh etc. These products are manufactured in compliance with the prevailing industry standards. Our much sought after range is marketed under very well-known and successful brand name, 'KALASH'. The endless potential of our team has been the guiding force behind the designing and development of the mesh products, which finds application in government, semi government departments and private companies. Our continuous efforts in catering to the requirements of the clients with best in line products has given us a hope to extended our business operations in the future. To ensure our clients are well verse about our products and all their queries are taken care off at timely basis, we render cost-effective after sales and consultancy services. All these factors have added up to provide us with opportunity to cater a huge base of clients of which some are MOIL and WCL. Mr. Ujjwal Lad and 'Mr. Hitesh Lad', our mentors has diverted the efforts and hard work of the professionals in achieving the goals set by the management and flood market with products, which are trusted by the clients for their precision construction. His 25 years of experience and guidance has led the professionals to contribute ideas and surface up with innovative products manufactured under their guidance. Quality of our product is maintained in compliance with prevailing industry standards. All the products manufactured by us are tested at our quality control center, which is equipped with an array of testing equipment. Our center is operated by a team of experts, which posses ample amount of experience in testing of the range. These tests are undertaken to ensure all the products delivered are in compliance with the in set industry standards. We perform our business under the expert guidance and support of our Sister concern. Punamchand & Sons ( Jaliwala ): Since 1978 Punamchand & Sons is in business of wire netting and wire product. We cover almost all types of wire mesh. Our expertise is in providing wide range of quality wire mesh within given time at very competitive rates. Hira Wire Netting Stores: To cover industrial market, Hira Wire netting store was open at MIDC of Nagpur in 2002. 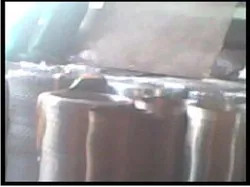 The company deals in all types of industrial Products such as Nut Bolt V Belt etc. Ujjwal Trading Corporation: Established in 2005, Ujjwal Trading Corporation is a distributor for two companies dealing in Shed Net and Plastic Mosquito Net. The company also deals in GI, SS, Aluminum, CR plain Sheet. Shreenathji Enterprises: Shreenathji Enterprises was established in 2008 at Ankleshwar, Gujarat. To provide all our quality products to our customer in Gujarat we have opened our branch at Ankleshwar, Gujarat. With all their might and hard work, our professionals have proved that they can innovate highly acknowledged products, which are capable of attracting the attention of numerous clients. These efforts of the professionals have led us to lay down polices, which can safeguard their interest in terms of compensation, job satisfaction and security. All the professionals go through stringent recruitment process to test their skills and knowledge and ensure the selected candidate is apt for the process. These professionals go through in-depth training to ensure they are well-versed with production and other operations. Clients in various parts of the country have acknowledged our existence in the market by showing a keen interest in our range of products. This has led us to cater to the requirement of the clients with best in line products which are appreciate for precise design & accuracy in weighing. Further, all the products manufactured by are packed in quality material and delivered within the stipulated time frame. All our products are tested and then supplied to the clients to ensure these are in compliance with the industry standards. Further, we render after sales and consultancy services, which are executed to ensure all the queries of the clients regarding our range are taken care off. This has enabled us to cater to the requirements of the clients such as MOIL and WCL. Our organization has been able to develop fruitful relations with the clients owing to our commitment in delivering the best. We have been able to gain the trust of the clients due to the efforts put in by our team in fulfilling the demands of the clients with quality products within the stipulated time frame. These factors have provided us with an opportunity to cater to the requirements of the clients based in different parts of the country.